MSPControl has an ability to import hosting resources (web sites, FTP accounts, mail domains, DNS zones, databases, Exchange mailboxes etc.) that were not created using MSPC. 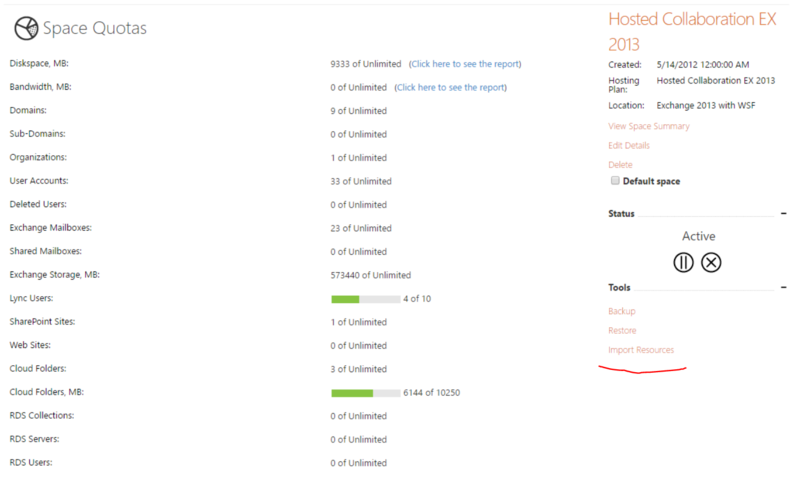 This excellent feature is ideal for the companies migrating from other hosting management solutions and non-automated hosting (where everything was created manually by system administrator). 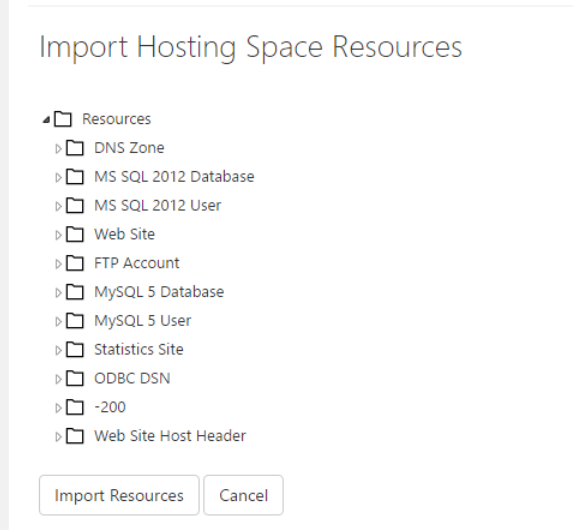 Import Resources wizard does not import user accounts, hosting plans, spaces and other meta-info from competitive hosting solutions, thus before using the wizard you should hosting plans, account and hosting space. Expand group nodes and select items you want to import into the space. Then click Import Resources button to complete the wizard.